Sometimes all I feel like doing is just posting photos ... and today is one of those days. I've been sick all weekend, so today's post will be short. 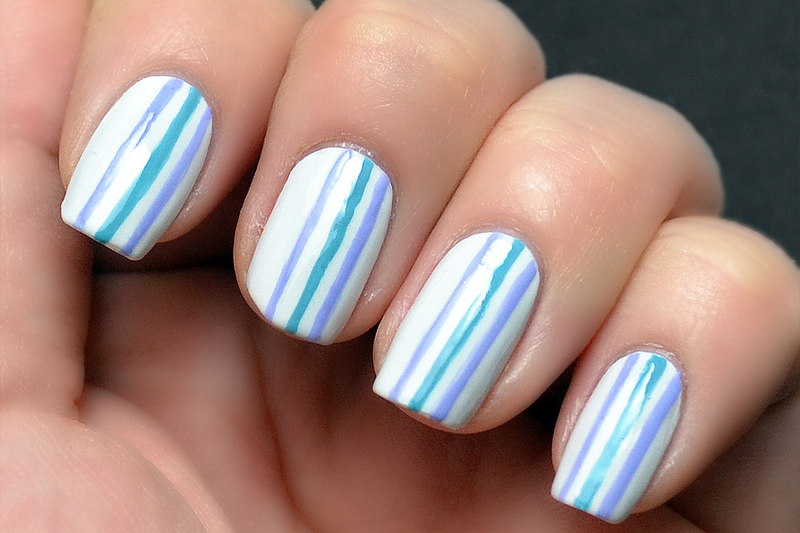 This was a simple, easy manicure (and I needed a break from OPI!). The base is three coats of Sinful Colors Firefly, and using a dotting tool I created the bumblebee design. So I caved and decided to go ahead and (kind of) swatch Polka.com from the Euro Centrale collection. I was in a very glittery mood after swatching The Living Daylights the other day, so I just went for it. I love, love love this glitter! The application was a little thin (this was three coats), but the end result is a really pretty, sparkly glitter using some of my favorite colors. Below is three coats of Polka.com over two coats of A Grape Fit. 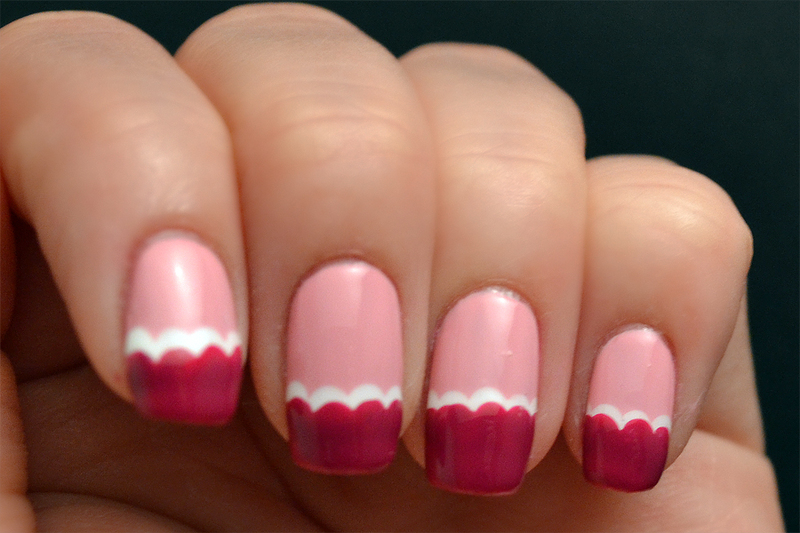 I also created a jelly sandwich mani using OPI Pink Yet Lavender from the Mariah Carey collection. Using two coats, layered between Do You Think I'm Texy?, it creates the perfect, subtle shine. I'm just a little bit (a lot) in love with this combination. I picked up OPI The Living Daylights a while back when I bought the mini Bondettes set, but hadn't had a chance to try it out. I layered it over three coats of OPI So Many Clowns ... So Little Time. What I think I loved the most is how different it is from other OPI glitters that I own. The multicolored glitter pieces are great and add a lot of depth without being overwhelming. The formula was even thick enough that I could easily spread the glitter over my nail without a lot of trouble. But most of all, I loved that there were no pieces of microglitter or irregular shapes. While I do appreciate the dimension and complexity that microglitters offer, sometimes there's nothing I want more than a simple glitter polish that looks clean yet colorful, which is what The Living Daylights offers. It's up there on my list of favorite OPI glitters of all time. What are some of your preferred glitter polishes? I actually started out this mani with the intention of adding a Chicago skyline, paying homage to my hometown. I did add the skyline after I took these photos, but was so disappointed with the results that I just couldn't post them. The only building that turned out decently was the Sears (Willis) Tower, but my Tribune Tower and Trump Tower were unrecognizable. Anyway, I thought the sunset gradient looked nice by itself, so I decided to post anyway. 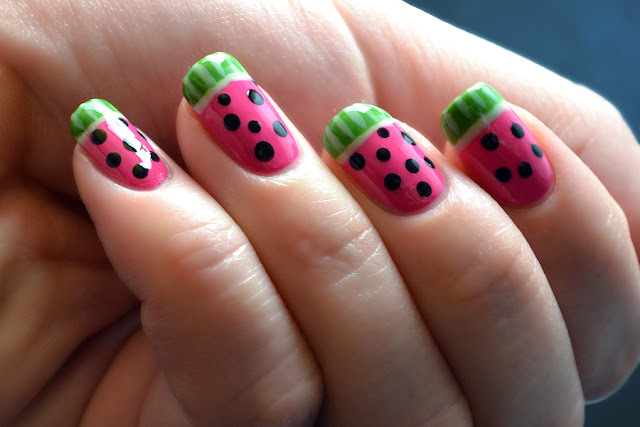 I started out by sponging two coats of OPI A Roll in the Hague on the tips of my nails. I worked my way up with Essie Big Spender and then OPI Dating a Royal. Since the colors weren't as vibrant as I was going for, I waited for the first layer to dry and then worked my way back down, adding another coat of each starting from the cuticles down in order to better blend it. The colors are so vibrant and bright and I love the way they look together—with or without the skyline! I am absolutely in love with the lighter creme polishes in the OPI Euro Centrale collection. At one point or another in my life, I think the lavender, aqua, pink and beige shades were my "all-time" favorite colors. 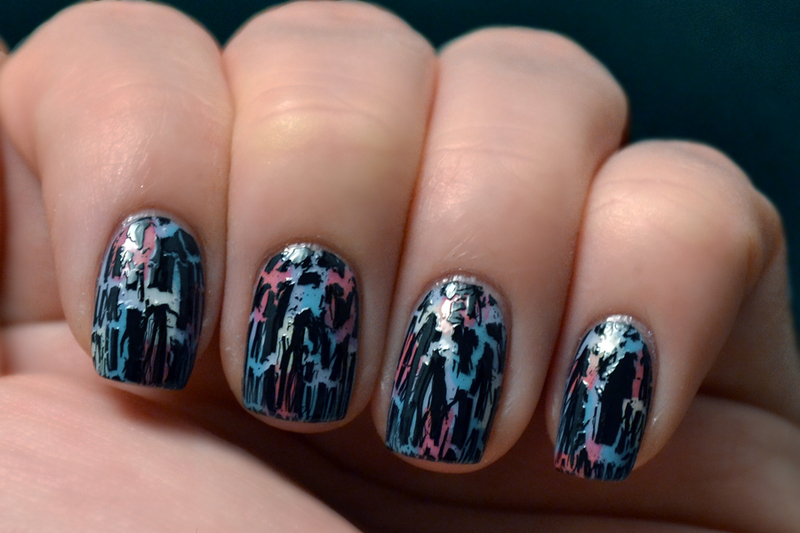 Over the next couple of weeks, you'll probably be seeing a lot more manicures using these shades, starting with today's post: a Jackson Pollack drip-painting inspired splatter. Materials you'll need: a light colored polish for the base, two to three vibrant complementary shades, two to three straws, an air duster canister, a brown paper bag, a paint palette of some sort (I use a paper plate for easy clean-up) and a husband who's willing to humor you for a few minutes. I really, really tried to do this one on my own. And when I say tried, I mean that I was about two puffs of air away from passing out because I was blowing the polish through the straw so hard. My husband, who had been silently watching me make a big mess for several minutes, finally gets up and hands me a Memorex canister labeled "air duster." With a little help, I moved my nail polish supplies over to the kitchen counter and set up the "painting station"—a brown paper bag and my paper plate with little pools of each color. Once my three coats of OPI My Vampire is Buff had dried, I was ready to get down to business. I really recommend rubbing some Vaseline on your hands to protect your cuticles and fingers. For an even easier clean-up, I know some people put strips of tape along the three sides of your nail so that the polish doesn't get on your finger. I personally don't have the patience for this or the desire to use that much tape, so I choose to use the Vaseline method. I find that there is a bit of a mess, but it's much easier to wipe all of the excess polish off your fingers without using a lot of acetone. Either way, this is a messy manicure, hence the brown paper bag to catch the overflow. While I held my hands inside the bag, the hubby scooped up some polish on the end of the straw and used the air duster to blast the polish onto my nail. As you can see, I ended up with a few large blotches of polish because it is an imperfect process. I did the colors one at a time: Don't Be A Budapest (lavender), Suzi's Hungary Again (pink) and Can't Find My Czechbook (aqua). The first two photos are actually of my right hand, which doesn't often make an appearance on the blog. The effects were so different on each hand that I had to do photos of both. 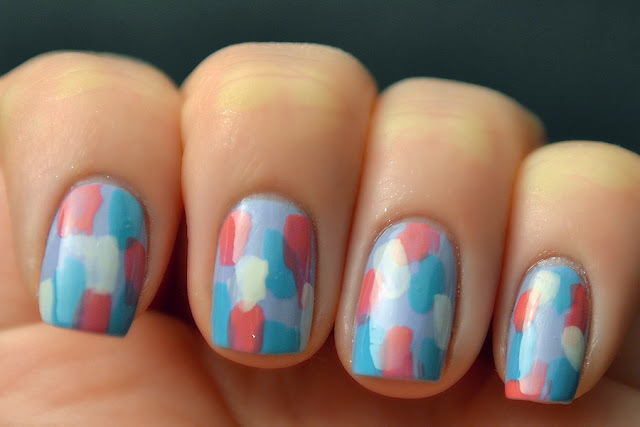 Personally, I like the right hand better, but overall I just love the way the colors blend together! So while I've been out of commission after the flat iron burning/nail breaking incident that will forever be my worst Valentine's week in history, I decided it was time for a new look and URL for Glitter and Gloss Nails. In addition to changing the URL to glitterandglossnails.com, I migrated the site over to Blogger so all you Google users can easily join the site with Google Friend Connect. Things are a little different here, but so far I'm loving the changes and hope everyone else does too. Plus, the fact that I no longer have to deal with the [.net] is just icing on the cake. In the right sidebar, you can check out some of the more popular categories of nail art that I do, like gradients, glitters, animal prints and florals. For swatches, you can either select from the dropdown menu to the side, or visit the top navigation bar and click on the Swatches page. As always, Sunday Swatches have their own page where you can view thumbnails and see various close-ups. I'll be back later this week with new posts featuring my chipped nail (apologizes in advance) and OPI Euro Centrale swatches!